Hello again everyone! Today I will be discussing part two of the nail polish series. The first part was titled: NAIL POLISH DONT'S and can be found here . When I think about the many months I have been immersed in the polish world, i find myself still learning and growing in the do's and dont's of nail polish maintenance. I want to share with you all, some tips that you may already know, but also some tips I have personally come up with (while tinkering around) that I hope you will find useful. Let's begin. 1. Always, always, always, make sure your nail polish is closed securely. Now i understand that when you close your nail polish and turn it till it feels snug, you many think, " its closed" BUT if you have nail polish around the neck of the bottle, this can prevent it from closing completely. 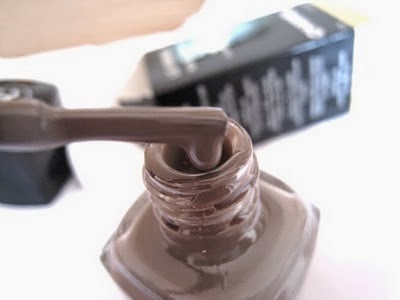 If your nail polish is not 100% closed, air will slowly,but surely,work its way into your nail polish bottle. What can air do you may ask? A LOT OF THINGS. For one, air that gets into your nail polish bottle can thicken your nail polish, make it gunky, cause a ton of air bubbles (you will only see them when you apply the polish on your finger) and reduce the life of your precious lacquer baby. 2. 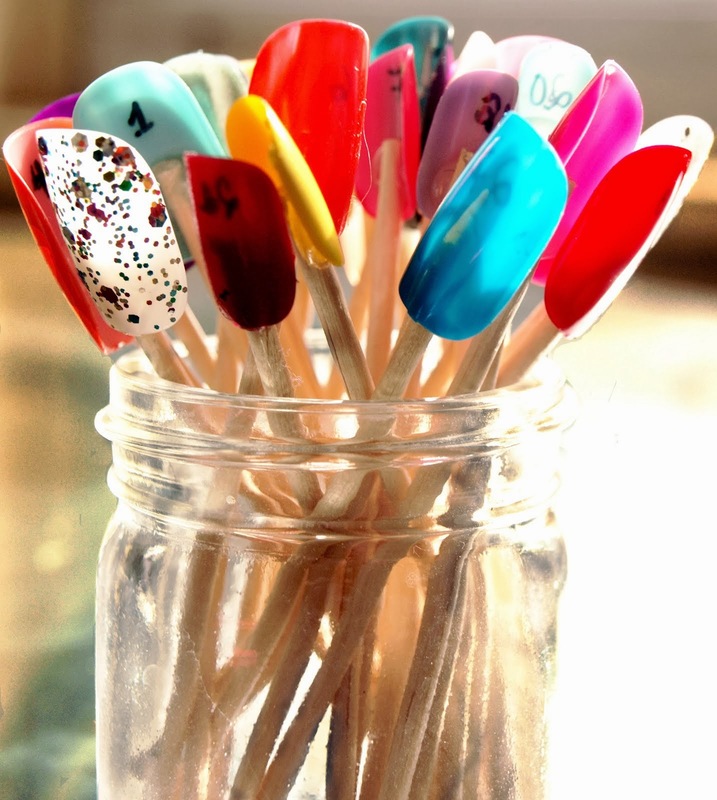 Always roll the nail polish between your hands or on a table/hard surface. Rolling the polish helps all the pigments and solvents to mix properly and guarantee you the best polishing experience and the most accurate color. I would say roll it for 10-30 seconds, UPSIDE DOWN (especially if you're working with glitter polishes). Trust me, if you do this, you WILL NOTICE a big difference in the polish application and formula. For myself, i use alot of different polishes at one time, depending on what nail art/designs im working on. I sometimes found myself rolling like 7 or more polishes at one shot! Talk about wrist cramp. UGH! My goodness, my poor wrist and inner palm would ache after all the rolling, leaving me NO DESIRE to even finish my manicure. So out desperation, because as the saying goes, "NECESSITY IS INDEED THE MOTHER OF INVENTION," i developed this handy dandy technique. Basically, if YOU WANT TO SAVE YOUR WRIST, ARM, ELBOW AND SANITY, turn the polishes upside down the night before or at least 6 hours before use. Then you dont have to worry about the rolling technique because your polish babies will be completely mixed together and ready to be used. This container is a wonky ceramic doodad that i had to make to fulfill the pinching technique for my college ceramics class. I was seriously going to toss it after it was graded,because Im just not crazy about it but something told me to hang onto it. Then the other day, i found myself staring at it AND A LIGHTBULB went on that said, 'USE FOR NAIL POLISH!" And voila: THE PERFECT container to hold my nail polishes upside down. I hope you enjoyed this post. PLEASE, PLEASE leave comments, questions, etc. BELOW. Is there a technique you use that you find helpful or would like to add to the POLISH DO'S series? If so, COMMENT LOVELIES. I do like blogging but i dont do it for just myself or my health, but for you all. So talk to me and let me know what you think.